Appointment under Rule 17-A Whether Regular or On Contract Basis? 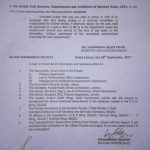 Rule 17-A of the Punjab Civil Servants (Appointment and Conditions of Service) Rules 1974 provides that whenever a civil servant dies during service or is declared as invalidated/incapacitated for further service one of his unemployed children or his widow/wife may be employed by Appointing Authority against a post to be filled under 16 and 17 for which he/she possesses the prescribed qualification and experience and such child or widow/wife may be given 10 additional marks in the aggregate by the Public Service Commission or by the Appropriate Selection Board or Committee provided otherwise he/she qualifies in the test/exam and or interview of posts and BPS-6 and above. 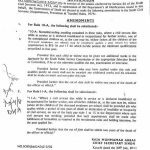 Provided further that one child or widow/wife of a Government servant who dies in service or declared as invalidated/incapacitated for further service may be provided a job against posts in BPS-01 to BPS-05 and the post of Junior Clerk (BPS-07) in the department in which the deceased employee was working without observation of formalities prescribed under the rules/procedure. 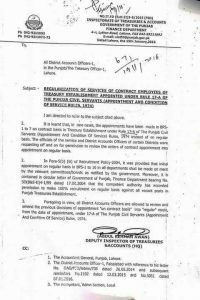 Section 4 of the Punjab Civil Servants Acts 1974 provides that appointments to a civil service of the province or to a civil post in connection with the affairs of the province shall be made in the prescribed manner. The above provisions of the Act and the Rules do not specify that initial appointment/recruitment should be made on regular or contract basis. Therefore appointments to posts reserved for initial appointment can be made either on contract or regular basis as per requirement of the Government. The Government however generally shifted from regular to contract mode of appointment and issued a comprehensive Contract Appointment Policy 2004. 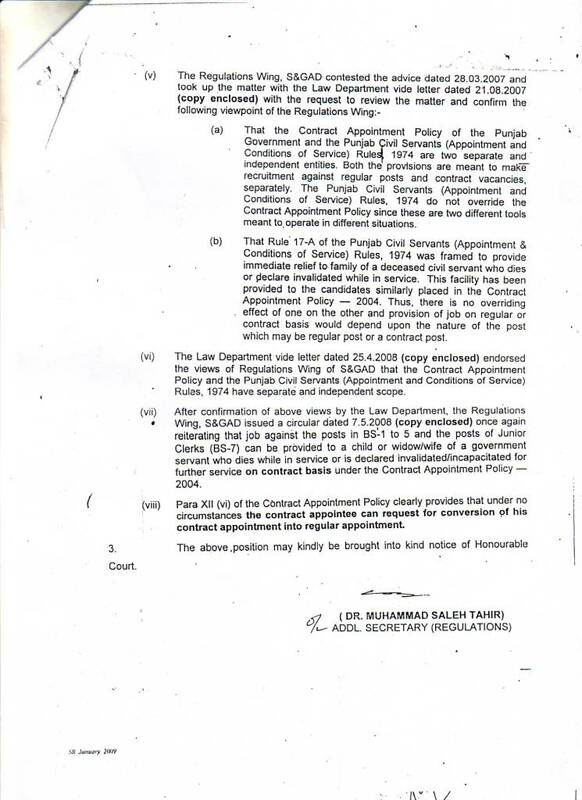 The facility of appointment under Rule 17-A has been extended to the children/widow/wife of civil servants who dies during service or is declared as invalidated/incapacitated for further service while in service through the Contract Appointment Policy 2004 so that such candidates or not deprived of job against the posts which are being filled on contract basis. The Government has constituted a Contract Appointment Regulation Committee (CARC) to determine the categories of posts which can be filled on contract or regular basis. The recommendation of CARC with regard to declaring a post to be filled on contract or regular basis is then submitted for approval of the Chief Minister. The departments then may make recruitment accordingly. 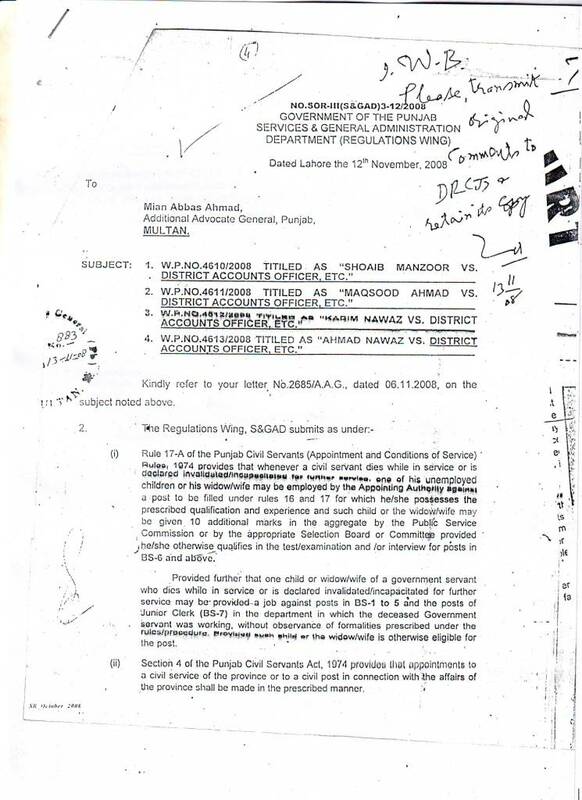 The Regulation Wing vide circular dated 05-08-2006 made an amendment in the Contract Appointment Policy 2004 envisaging that the provision of Rule 17-A of the Punjab Civil Servants (Appointment and Conditions of Service) Rules 1974 and the relevant instructions/guidelines issued in this behalf from time to time shall be applicable mutates mutandis for employment of one of the unemployed children, wife/widow of a civil servant dies during service or is declared as invalidated/incapacitated for further service under the policy. The nature of the employment so provided shall be dependent on the mode of recruitment viz. contract or regular as may be decided by the Government in respect of a particular post. This post has been delivered by APD Warble Fly Control Dera Ghazi Khan. According to my knowledge he will be awarded 10 extra marks only for the Public Service Commission Exams and there are certain examples available at my website in connection with regular appointment under assistance package. My father died in 2007 and worked in Punjab Government. Now my brother is an Electrical engineer but still unemployed. If we follow rule 17A, at what grade will he get the job? Can he get 16 or 17th grade in any department of Punjab government? 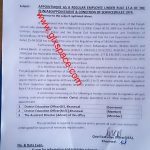 F.A (second Division) is fixed basic qualification for appointment of Junior Clerk (BPS-11). Junior Clerk (BPS-11) for appointment basic qualification is F.A (Second Division) fixed. mary father ki death august 2017 main hui hi he ws inspocter in police department . mri age zidaa hu gi according to age required kia mjhy koi relief mily ga agr main kisi or departement main apply krti ho like educatotres or Headmasters ki seates main plz reply mst ? 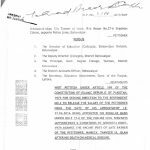 F.A, Second Division is basic qualification for appointment of Junior Clerk in BPS-11. sir my father was a teacher in islamabad. he died now . 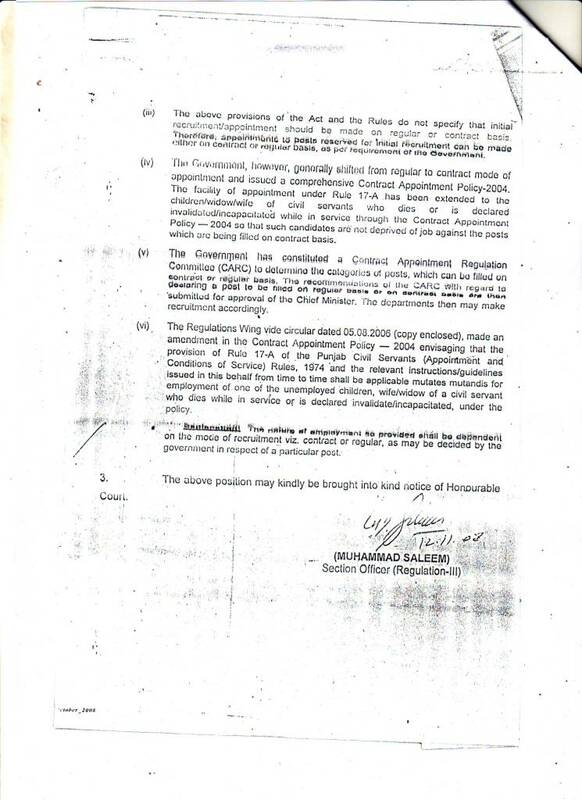 plz tell me the process of appointment under rule 17-A in chronological order. SIR MERE PAPA NAY PENTION LI UNKI SERVICE ABHI 12 SALL BAQI THI PENTION HUE ABHI 2 SALL BHI NAI HUE UNKI DEATH HO GAI CAN I APPLY? catageroy B ma jis ka board hua ho kia us ka beta us ki jaga ho sakta ha kia ? Dear Sharjeel I am not confirm. kya mujy as a junior clerk job mil sakti hai ? Me ne rule 17-A p apply kia hua he educators 2016-17 me. Then mujhe 10 number milne k bawjood bhi mera merit nae bn raha. Policy me he k rule 17-A minority ya Disable qouta p apply kr sakta he. Then kia meri job ho jaye gi ?? Jb k woh seats district me sirf 3 hen. Or 3 p hi me ne apply kia hua he. Jb k un me na koi minority he or na koi disable he. Aksar job k aid main age25-30 hoti hi.lakn jo females 33 ya35 tak hain kya wo apply karsakti hain.jaisy aj kal nts k test main bi age limitation 25-28 di hoti hi. Tu 30- 35age wali females job k liay apply karsakti hain? Mary father costum ma sepahe tha UN ke dorana service death ho gai the.17a Ka tahat mara Oder howa tha jo 2 sal Ka contract tha ma na joining nahi ke the . Mary mother coma ma the jis waja SA ma duty join nahi kar saka Ma regular job ke apll karta raha lakin mahakma na mujy regular ke job nahi de bad ma mujy over age kha deya .Jab Ka ma is SA phla Habib Bank ma kam karta tha aya Ka wo service over age ma cover ho sakti ha.plz plz help me and also reply me. 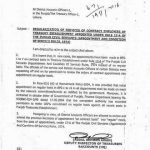 in compliance with the rule 17 A of punjab government a daughter of incapacitated teacher has been given job in BPS-4 on contract basis. After some months such daughter applies for post of BPS-9 (advertised by the punjab government ) in same department and provision of 10 additional marks (under rule 17A). Kindly tell me. is she elligible for 10 marks?????? kuch samjh nai rai kiakrn.... i am so worrid ............. please tell me about that typing test k elawa kya kya qualify krna hai. i think rule 17A is only about death and unable for further service of employee. Meri oppiontment rule 17A k tehat hoi hy.lakin mujay contract par bharti kia gia hy kia mujay in court ki judgment ki copy send kar sakti gain jin main rule 17A ko paramanent post kaha gia hy. Dear Kazim ali, I have only the copy that uploaded at this website. Mary Father FBR main as a driver k job kr rahy ha but mary Father k eyez ka problem ha main ne un ka medical krwaya ha but wo unfit aya ha .... So please guide about it ke muje FBR m job mil skti ha 17A rules k matabik ,,,,,, My education is B.com. Please tell me about basic qualification for new appointment of Junior Clerk in BS-11. My father retired on medical ground "A" category now i have apply for junior clerk on bps :"7" under 17-A rule but department didn't appoint me according to 17-a rule because junior clerk grade is changed & now grade of junior clerk is (11).so any body know about the amended rules plz inform me. father job k duran bimar ho gay thay or usi duran un ki retairment 15-1-14 ho gai retairment k kuch arsa bad he wo 8-3-14wafat pa gay kia mia un ki jaga job hasil kr sakta hu?? mere father 2 month pehly retired huwy .unfit hony ki wja se. ma ne b.a kea huwa ha meri age 22 ha. ma ne J C k liye application di. e.d.o health sargodha ne jawaab diya ha k 17 A k teht apko J.C ki seat nh dy sakty q k scal 11 ho gya ha. mujhe ye confrm krna ha k kiya waqi he 17A k teht ab J C ki seat nh mil sakti. slam . mere father kuch months pehly retire huwy hain unfit hony ki wja sy. ma b.a kiya huwa ha . ma ne J C k liye apply kea 17A k teht . e.d.o order nh kr rha kehta ha clrck ka scale 11 ho gya . please btain ma kiya kron. Dear shehryar ahmad, i think the scale of on contract basic for LDC will also be BPS-11. please mujhe ye btain k kea ab BPS 11 ho jany ka baad J C ki seat mil sakti ha mujhe.??? my father was teacher and died during service in 1994. Now, I applied under 17-A but they offering me only Class IV post instead of clerk BS7. But now in coming future Govt. recruiting educators. I wanted to ask either I am eligible to apply under rule 17-A for an educator or should I avail Class-IV and then afterwords I try through department. i am appointed as a store keeper under the rule of 17A. i have done MBA. now can i permote to junier clark or am i stuck in store keeper post?? store keeper scale in my dept is 5. Govt Building Dept. I hope you will be fine, I want to some information from your side, my father died during service in 1993 in pakistan railway.can I apply in my father seat under 17A. Dear ali abbas it is not possible now. 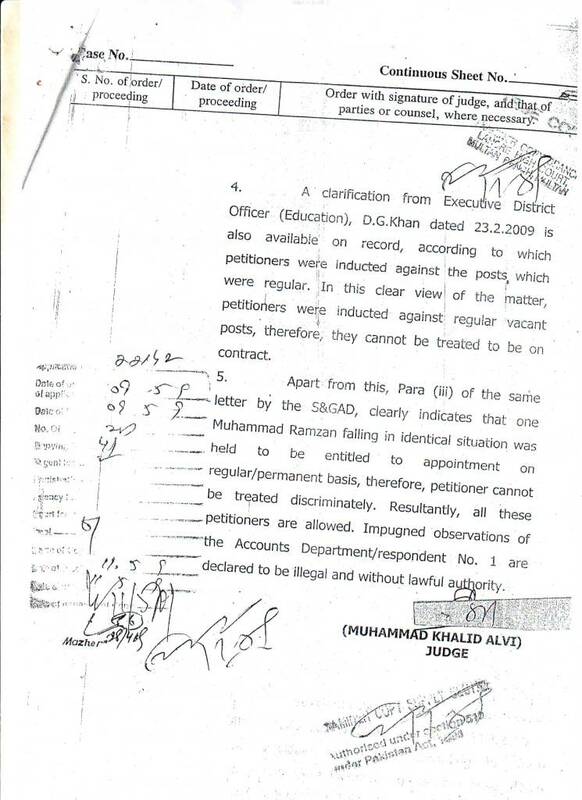 Junior clerk ka grade 7 say 11 ho gia hay to ab 17-A k under kon say grade par appointment ho gi. junior clerk ke grade 7 ha tou ab junior clerk ka grade 11 ho gya ha tou 17-A rule tou grade 7 tak ha tou ab wo kis grade per appoint hoga ? meray father medical unfit ho gi ye hain. I m dispenser. Kia ma dispenser ki seat per a skta hun 17A rules k tor per. Dispenser ka BPS 6 hai. Jb k junior clerk ka bps 7 hai. Asalam o alikum... mery father ki death 2010 mai hoe ... wo in service ty.. wo education department mai ty .... we belong to rajanpur district .. mai ne aplication jama krwai meri qualification f.a ha .... muhjy education waly kehty hain ap typing test dain lazmi agar ap ne 25 wpm diey tab ap ki job ho ge junior clerk py nh to class 4 ... msi j/c lagna chahta hu par wo test ko lazmi pass krana ... death quota mai s tarh to nh hota... please help krain koi meri ... my cell no 03236701914 ..... 5years ho gy aj tak mujhy job nh mili ... meri typing speed 20 tak ha..
Mery father dispenser hain. WO medical unfit ho gi ye hain. Ma bi disperser hun. Kia ma unn ki seat per 17A k tor per a skta hun? I have 2 year govt experience dispenser. Dear Shahbaz Rahi according to my knowledge "Yes". MUJY YE MALOOM KR NA HAI MEDICAL UNFIT LY NY KAY LE YE AGE LIMIT KIA HOTI HAI. Dear M. Tahir Javed I think you can try for the same through proper channel. mam meri ami (mother) medical unfit ho gai hain ab kia mujhe ppsc mein 10 marks milien ge.i am M.A English. aur mujhe maximum knse scale ki job mil sakti hai. Dear jahangir, plz mention the job of ur mother through which province? AOA. My Father Is brain hemrag during govt job jail dept and his son qualfication F.A.he is apply Invaldation or 17-A rule.and what is prcedure is adopted.and what is apply for bps or junior clerk my father is bps 8 when he is retired medica ground. Dear madam, I have a notification that deceased civil servants children or widow may get age relaxation upto 10 years.I got age relaxation on the base of above mentioned notification for PPSc exam. My question is that notification is applicable for local government job bcz it is autonomous body. I mean Punjab civil service rules for recruitment would apply for local government & community development job. Dear mansoor I m not confirm about it. Dear Ali under rule 17-A at this time only 2 years contract job is granted. Dear Shahid Mahmood I have not the copy of this Notification. My father died in 2006 during service in BPS 17. I want to ontained job of Junior Clerk under rule 17A. Kindly inform me is there any age limit for applicant? My age is 26 year. May I apply for J.C? My qualification is M.Com and PIPFA? May I apply for any other job other than J.C? If I am eligible for other job according to my qualification, kindly guide me. Dear MUHAMMAD WAQAS u r eligible up to BPS-15 on the basis of under rule 17-A. a.o.a mam my father died on 1st july 2002. He died during service on the post of est bps-9. Now i applied for the qouta. Will the additional mark be given to me? If not then how much percentage is specified for this qouta by the punjab edu deptt! Plz inform me mam as soon as possible. Dear shahzad ahmad siyal mujhay confirm nahin is ka. Dear Ateeq Ullah, the Rule 17-A is only for the cases of death during service. Dear Umar you can get job upto BPS-15 according to your qualification. is there any law or rule for job or appear in interview or test? Dear Umar plz email the same issue with full detail. I could not understand your question. Dear M.S Rehman, plz email me all details. My Mother passed away due to cancer, on July 6th 2014. She was working in Special Education School for blinds Governed by Punjab government in Lahore. We were strongly dependent on our mother source of income, I am on only son and i have one sister. Now i want to work instead of my mother, but i did not understand the criteria through i can get job in government department. I have done master in commerce. And my age is 22. I will be thankful if somebody guide me. How can i apply under rule 17A. school of nrusing dhq.hospital rajanpur. Dear Naeem, it is same for the federal govt too. Dear Wahid, I am not confirm about this rule, I have never heard about this rule. 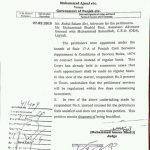 Plz read the point (i) here mentioned that "Provided further that one child or widow/wife of a Government servant who dies in service or declared as invalidated/incapacitated for further service may be provided a job against posts in BPS-01 to BPS-05 and the post of Junior Clerk (BPS-07) in the department in which the deceased employee was working without observation of formalities prescribed under the rules/procedure". I served four years in BS-17 (two year contract and two years regular) in the Government of Punjab, Agriculture wing. The worthy Secretary allowed two years EOL (Extra Ordinary Leave without pay) to pursue my PhD studies In China.My EOL will be expired in August 2014. Now I need one year more to complete the studies. Is here any rule to extend the leave so that I may complete my studies? Is there any rule by which my leave (without pay) could be converted to leave with pay. My studies are too much disturbed to this matter. Please helo me in this regards. My two years Extra ordinary leave (EOL) is going to expire in August 2014. My regular service in Punjab Agriculture is two years. The question is that can i extend the EOL for one year more? if a candidate having the domicile of other district and his father dies in other district then the candidate can applicable for the appointment as C-IV under Rules 17-A in that district/place where his father was dead???? kindly advice me in this matter as soon as possible however, the case of the candidate can be solved. 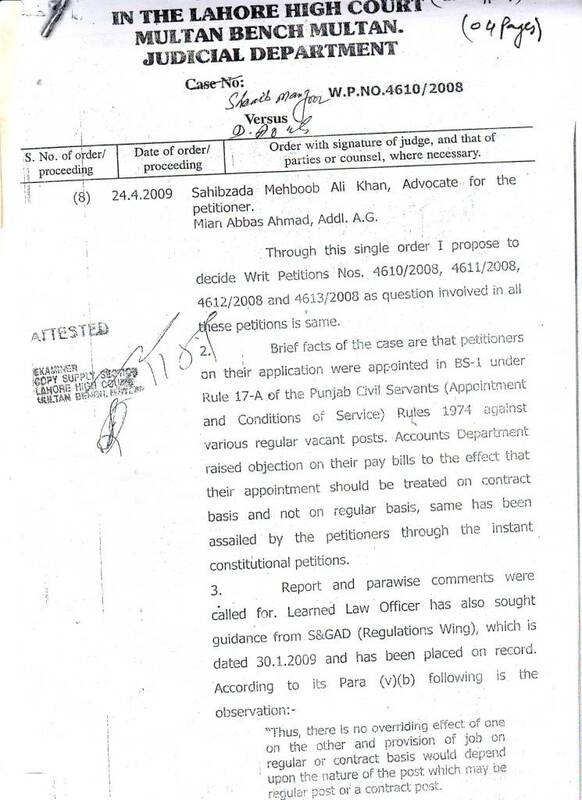 Dear Saeed Abbas according to court decision he can be appointed anywhere in the province. Dear Amir, I think at the time of appointment she must not be second married. Dear Amir, it is no matter whether she married or single for the Job. Dear Noor just contact your Office or accounts office for the latest progress of the salary. Dear ma'am i am still deprived of my salary and account officers are refusing to make my salary bills. however i have read a judgement of Lahore High Court in favour of a lady who was married (Ubaida Manzoor)when she was appointed and the education officer refused and raised an objection that daughters become the liabilities of their husbands after marriage. I need ur help , I have attached that judgement of honourable high court and the accounts officer Gujranwala has sent that to Accountant Gerneral Pakistan Revenue Lahore. 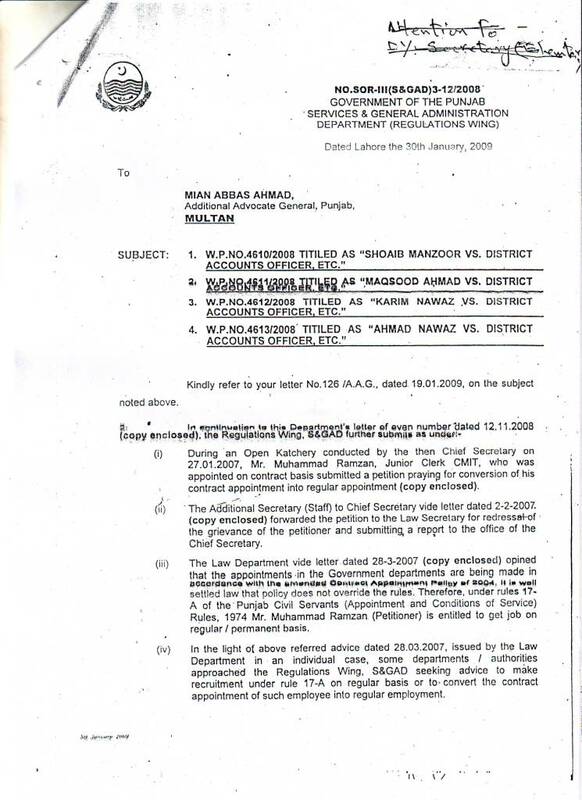 now they are making objections that Ubaida Manzoor didn't joined through assitance package or her case was in Punjab government whether i am a federal government employee. plzz help me out i need ur help in this matter. my 3rd month has also come up to an end and i have not paid even a single ruppee.. should i file a writ petition in high court too? Dear Noor Wasim, I there is no mention of married or single daughter in the rule. However I ll more confirm about it. My father died before 15 year during service in health department (BPS-14). now i done my Metric can i get any job in health department. Dear Shakeel, This package was started in 2006. Whether the children of those officials who died before the year 2006 are entitle for appointment as Junior Clerk under Rule 17-A, or not? Dear Khalid, for the Federal Govt they are not eligible, however me not confirm for the provincial. i have cleared written test of lahore development authority for the post of AD BS-17.may i get 10 additional marks in interview for final selection as per rule -17 . Dear Rizwan you can get 10 additional marks if you have provided them the death certificate of your father and related documents. miss shumila I contacted to a lda personal regarding rule 17-a.He told me that only you can get relaxation of 10 marks in the parent department of your father.i personally read the rules of appointment but I could not find anything like that.About parent department is not mentioned in the rules.waiting for your reply..
Dear Rizwan there is no mention of parent department. Ask them to show the copy of the same where mention the parent department? Aslamulaikum, My father died in 1997 he was teacher under punjab govt service 7 years. can i apply to my younger brother for any post?mean bps-7 or above. Dear Shahid Aslam aap is notification ki copy lay kar apnay father kay department say contact karain. Lekan meray mutabiq yeh Package 2006 say shuru hua tha. A.O.A mery father ki death 1998 main hui thee or mujy rule 17-A k tehat job april 2007 main mili thee.